After gaining a foothold in the contemporary Christian music scene, Switchfoot went mainstream with 2003's The Beautiful Letdown, a double-platinum album that straddled the line between sacred and secular rock music. Years before Switchfoot's commercial breakthrough, though, the group struggled to make a dent in the San Diego area, where singer/guitarist Jonathan Foreman, bassist Tim Foreman, and drummer Chad Butler began playing together in 1996. 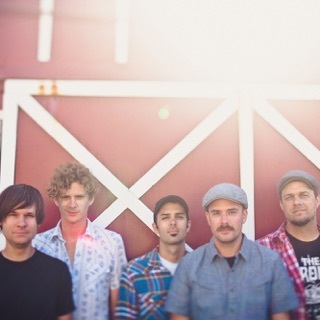 The lineup logged several shows under its original name, Chin Up, before adopting the Switchfoot moniker and attracting the attention of singer/songwriter Charlie Peacock. Although Peacock signed the band to his own label, Re:Think, Switchfoot were moved over to the roster of Sparrow Records following Sparrow's acquisition of the smaller label. Now signed to one of the largest Christian labels in the country, Switchfoot temporarily tabled their plans to reach out to a broader audience. Their first two albums, The Legend of Chin and New Way to Be Human, were marketed almost exclusively toward Christian listeners, who took an immediate shine to the band's music. Keyboardist Jerome Fontamillas joined the band for 2000's Learning to Breathe, which found Switchfoot taking more steps toward a mainstream alt-rock sound. Breathe became a transitional record for the group, earning a Grammy nomination for Best Rock Gospel Album and selling over 500,000 copies, thus achieving gold status. Its success, coupled with the band's presence on the hit soundtrack to the 2002 film A Walk to Remember, set Switchfoot up for a healthy major-label run. The Beautiful Letdown, Switchfoot's debut album for Columbia Records, was issued during the spring of 2003. It represented the quartet's full evolution from a Christian group to a mainstream rock act, eventually earning double platinum sales and producing two Top 20 hits: "Dare You to Move" and "Meant to Live." Switchfoot returned in September 2005 with their fifth album, Nothing Is Sound, which debuted at number three on the Billboard 200. Nothing Is Sound went gold, sparked another radio hit in "Stars," and was the first Switchfoot recording to include the work of additional guitarist Andrew Shirley (formerly a member of the contemporary Christian group All Together Separate), who'd been a touring member of Switchfoot since 2003. Wasting little time, the band returned to the studio with veteran U.K. producer Tim Palmer to begin work on its sixth album, one that found the guys broadening their musical scope. The resulting Oh! Gravity. appeared at the tail-end of 2006. A year later, Jon Foreman announced the band's decision to leave Columbia and form its own label, lowercase people records. At the same time, Foreman began releasing a string of solo EPs, each of them named after a specific season. 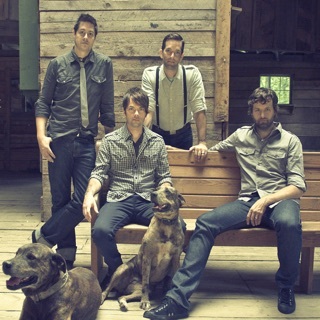 He also formed Fiction Family, a folk-pop side project, with Nickel Creek guitarist Sean Watkins. Fiction Family's self-titled debut was released in January 2009. Also in 2009, Switchfoot released the studio album, Hello Hurricane. Produced by the band, along with Mike Elizondo, it won the 2011 Grammy Award for Best Rock Gospel Album. Several months after the band's Grammy win, Switchfoot returned with Vice Verses, an album that highlighted the band's rhythm section. The album performed well, hitting number eight on the Billboard 200 and reaching number one on Billboard's Christian Albums chart. 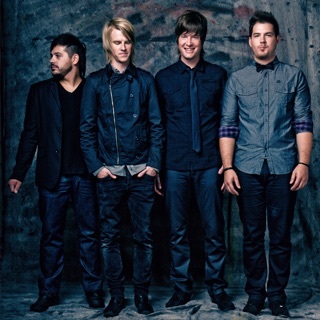 It also earned the band a 2013 GMA Dove Award nomination in the category of Rock/Contemporary Song of the Year. While on tour in 2013, Switchfoot made a film called Fading West, documenting the band's lifelong love of surfing. 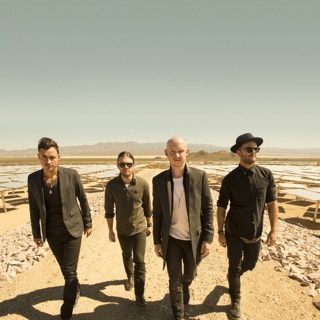 Their next album, also entitled Fading West, landed in January 2014. It saw the band freed from the typical constraints of the three-minute pop song, experimenting with unusual instruments and musical textures. Later that September, the group a issued a short EP of supplemental material from the project, Fading West: The Edge of the Earth - Unreleased Songs.